Capturing online leads is challenging if you aren’t getting any new traffic to your website. Fortunately, there are several ways to get fresh eyes on your website, you just have to know where to look. Paid ads are a terrific way to send traffic to your website. In today’s social media marketplace, Facebook ads are particularly popular. Geotargeting allows you to segment your ad’s viewing audience to your ideal demographic and you only pay when your ad is clicked on. With the ability to segment details like income, behavioral patterns, and other useful demographics, you target a very specific group of ideal leads. The better you know your market, the more effective your campaigns will be. Many agents underestimate the importance of having a social media presence. Sure, personal pages are important, but a business page is the ideal space for your real estate social presence to live. By sharing your well-written content, industry news and conversing with past, current and future clients, you are becoming more visible, more reputable and hopefully more likeable! Consider this: when one person likes your business page, they start seeing your updates in their newsfeed and that person’s friends start seeing your updates as well. Now one like is translating into potentially hundreds of eyes on your updates. Bottom Line: Never underestimate the power of Facebook! 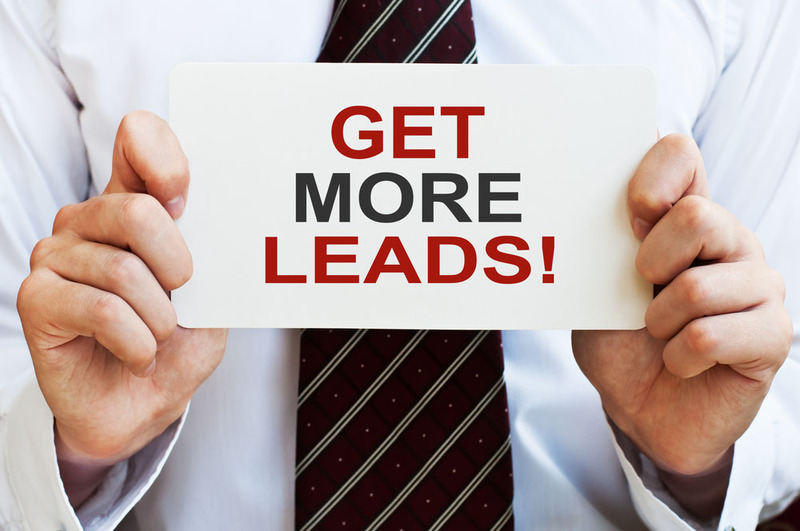 Your website needs to be a one-stop-shop for buyer and seller leads. If you aren’t providing them with the content they are looking for, they are going to find it elsewhere. Sites like Zillow or Trulia are an easy place to lose your potential leads. Now they are getting the info they are looking for AND seeing lots of agents they can work with. Not sure where to start? Create blogs around popular topics like ways to short sale your home, what to look for in a real estate agent, how to stage a home or why FSBO leads should reconsider. Now, with proper SEO in place, leads will find your content more easily in web searches and gravitate to your website. Many people seem to pick a singular focus, paid ads or organic (SEO), but you must maintain a balance between both. If you aren’t a particularly tech-savvy agent, that’s okay! It’s not as difficult as you might think. Typically, your website will already be setup with SEO in mind (for example, our clients get this with PropertyPulse) but there are other ways to maximize your organic traffic. Consider what terms your ideal leads are searching for and develop content around those concepts. Use relevant hashtags in your social media posts. Use your keywords (ideal search terms) in your meta descriptions for blog posts. One reason we see such high traffic on our customer’s websites is the MLS listing feature. With PropertyPulse, MLS listing automatically populate on your website or your social media business page Most online home buyers start their process by searching for listed properties in their area online. Nearly 70% of these same people stick with the first agent they are exposed to. Having your one-stop-shop set up on your website is imperative for getting these leads to stick with you! As you can see, there are many ways to increase traffic to your website. No matter which tactics you use, the most important asset is having a way to capture these leads on your website. Want to find out why our agents see 3x higher lead capture rates than the industry average? Schedule a call with one of our real estate marketing experts today and find out how PropertyPulse can elevate your business.